Watch the live feed from the Cattail Marsh Wetlands Boardwalk and Education Center. The webcam is controlled by the Beaumont Convention and Visitors Bureau; please feel free to alert us if we&apos;re missing out on a great view! The best way to reach us is to message us on Facebook or Twitter. If it happens to be during office hours you are also welcome to email or call 1-800-392-4401. Enjoy! If you&apos;re an avid birder, or simply a beginner looking to get started, you&apos;ve come to the right place! Beaumont. Texas is on two migratory bird flyways: the Central and Mississippi. 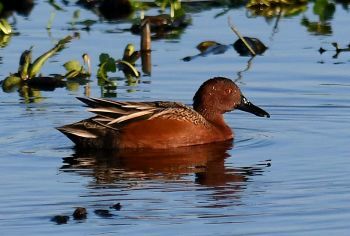 Nearly 30 species of ducks and flocks of snow geese migrate to Beaumont while roseate spoonbills, great and white snowy egrets, white-faced ibis and mottled ducks are year-round fixtures. A local favorite for bird watching is Cattail Marsh Scenic Wetlands, which features a boardwalk with covered viewing platforms and 900 acres of scenic wetlands. 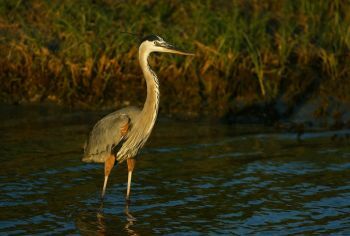 North of Beaumont, Big Thicket National Preserve offers another prime bird watching location with over 40 miles of hiking trails that allow visitors to view a variety of different ecosystems found within the Preserve&apos;s 108,000 acres. 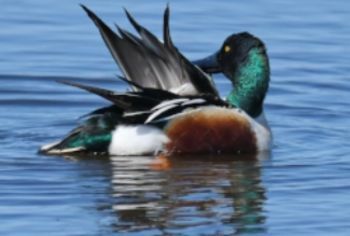 Spring Migration happens March through June while Fall Migration occurs July through October. Whenever you&apos;re planning your trip, over 350 bird species are spotted in and around Beaumont annually, so you&apos;re all but guaranteed to find what you&apos;re looking for. View birding trail maps here. Watch yesterday's Time-Lapse Video of Cattail Marsh Wetlands below. Tyrrell Park is home to the Beaumont Botanical Gardens, Cattail Marsh and Henry Homberg Golf Course.